Well. That was a month, eh? Before we dive into this wild lunar cycle of paleontological action, I'll put out one more call: if you are a paleoartist and you haven't taken the 2017 Survey of Paleoartists, do it! It's easy and won't take too long. Ornithoscelida. This is the name given new clade consisting of ornithischia and theropoda, according to a new phylogenetic study by Matthew Baron with Paul Barrett and David Norman. This new model proposes that the sauropodomorphs and theropods aren't quite as closely related as we've thought, with saurischia redefined to be sauropodomorpha + hererrasauridae. Many interesting implications here. Let's see how is pans out over time. Read more from Darren Naish at TetZoo, Ed Yong at the Atlantic, and Pete Bucholz at Earth Archives. Anchiornis plus lasers! New research using the technique of laser-stimulated fluorescence has "fleshed out" the little-dinobird-that-could, confirming some hypotheses about soft tissue anatomy in paravians and throwing in some surprises, to boot (no pun intended, but the foot integument has stoked conversation online). Read more from Scott Hartman at Skeletal Drawing, Andrea Cau at Theropoda, and NatGeo. Want more dinobird soft tissue, eh? A newly described, remarkable specimen of Confuciusornis has been found to preserve soft tissue features of the ankle and foot. "Microscopic analyses of these tissues indicate that they include tendons or ligaments, fibrocartilages and articular cartilages, with microstructure evident at the cellular level. Further chemical analyses reveal that even some of the original molecular residues of these soft tissues may remain, such as fragments of amino acids from collagen, particularly in the fibrocartilage." The authors conclude that Confuciusornis represents a transitional state between the leg posture of ancestral theropods and modern birds. Read the Nature Communications paper and the release from Bristol University. 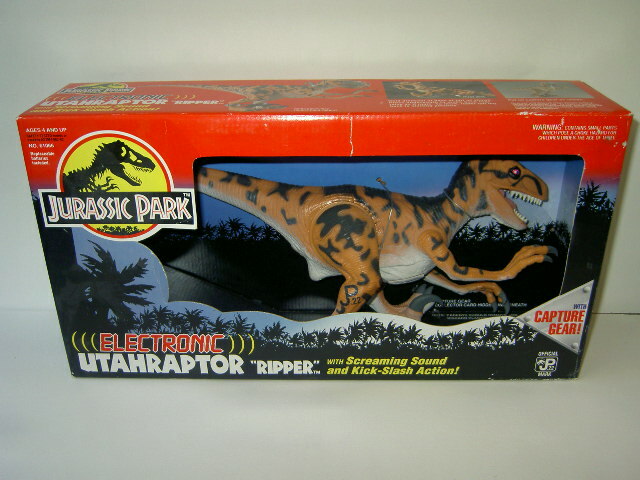 Daspletosaurus isn't left out of the March integument madness. A new species of the tyrant, D. horneri, has been described by Thomas Carr, based on fossils that have been long awaiting description. Another new tyrannosaur, big whoop, right? Well, this one has major implications for restorations of these Cretaceous poster children. Carr and team studied an extremely well preserved specimen, determining that the face was covered by large scales like those of modern crocodiles, and had no lips. Furthermore, the face was supplied with a powerful web of nerves, making it highly sensitive. Read more from Phys Org, Science, and Eurekalert. Already lots of critiques popping up, but of course we'll have to see what pops up in further publications. The Burmese amber strikes back. This time, mid-Cretaceous amber containing platycnemid damselflies shows evidence of courtship behavior. The insects possessed the enlarged tibiae of their modern relatives. It's a pretty stunning find, and thankfully the private collector who purchased the amber provided it to scientists so it could be published. Read more at Phys Org and Cosmos. In the discovered-but-not-described bin, another titanic Mesozoic penguin from New Zealand. This new one is about as large as the largest ancient penguins and was found a few meters above the discovery site of Waimanu manneringi, most ancient of the proud lineage. Read more at Laelaps from Brian Switek. New research has compared the lower jaws of a whole bunch of therizinosaurs to better understand the feeding adaptations of the various species. Read more about it from Albertonykus at Raptormaniacs. A late Jurassic turtle has been found to have the ability to retract its neck into its shell. Read more on Platychelys from Jon Tennant at PLOS Paleo Community. Finally, this one seemed to get buried in the press in February, so I'm including it this month, thanks to Ashley Hall calling attention to it. An absolutely gorgeous new fossil of Eoconfuciusornis from the Yixian Formation, preserving soft tissue of the ovaries and wing. Writing for Palaeontology Online, Elsa Panciroli provides a comprehensive overview of the earliest mammals. C.M. Kosemen is back on Youtube! Check out his first entry in his rebooted series, in which he tells the Parable of Darth Atopodentatus the Wise. Luis V. Rey offers an intriguing look at Yehuecauhceratops, restoring it with big, fleshy nostrils. On Discover's "Dead Things" blog, Gemma Tarlach is profiling up-and-coming paleontologists. The first profile in the series is all about Sanaa El-Sayed and one heck of a big catfish. Over at the Paleo-King blog, Nima has estimated how much time a sauropod would have to spend eating each day. Did you hear about all of the new coelurosaurian Monopoly pieces? A penguin, a rubber duck, and a so-so Tyrannosaurus rex. Read more at Everything Dinosaur. Want to fight back against anti-science forces? At the SciAm guest blog, Jonathan Foley and Christine Arena have some ideas. Jordan Mallon shared his most-overlooked paper with Dave Hone in an installment of the "Buried Treasure" series. Read more about "Taphonomy and habitat preference of North American pachycephalosaurids" over at Archosaur Musings. At Mary Anning's Revenge, Meaghan and Amy shared a couple of their recent paleo talks. Check out the vids, do it. One of my favorite podcasts is In Defense of Plants, so I was extra excited to see that Dr. Caroline Strömberg stopped by to talk paleobotany. She discusses her specialty in researching phytoliths, silica particles produced by certain plants, and gives a wonderful overview of the science. At New Views on Old Bones, Paul Barrett has been writing about an expedition to Lake Kariba in Zimbabwe, in search of Early Jurassic fossils. Check out parts one, two, and the recently published finale. Duane writes about "the longest tenured and most successful marine tetrapod family of all time," the plesiosaurs, at Antediluvian Salad. Some good posts on female paleontologists for Women's History Month: Learn about American paleontologist Mignon Talbot at the Tetanurae Guy and read about Mary Anning from Fernanda Castano. 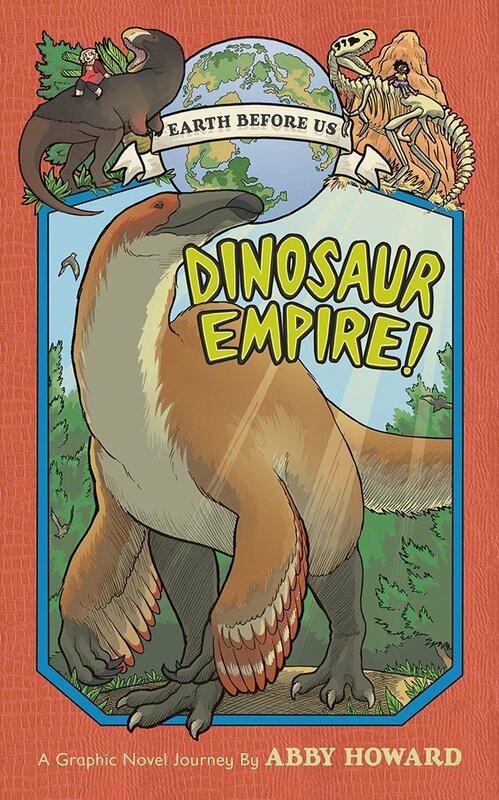 Comic artist Abby Howard (Junior Scientist Power Hour) announced her new book, Dinosaur Empire!, due to be released in August by Amulet Books. It looks amazing - a trip through the entire Mesozoic, with fauna that clearly is based on contemporary science. Check out her announcement comic, and then preorder it! 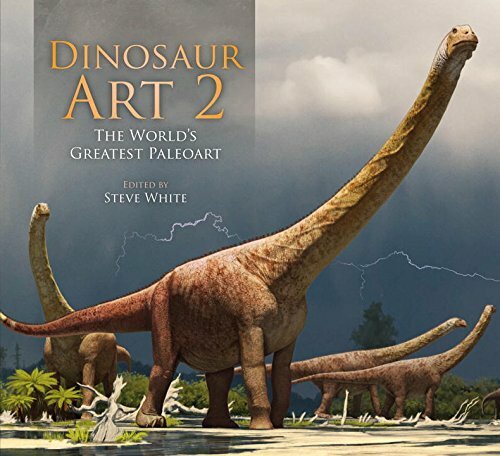 Dinosaur Art, the 2012 paleoart book edited by Steve White and published by Titan Books, was such a big deal that we dedicated a whole week to it. The book got a lot of press, but I think it's fair to say that LITC provided the most in-depth analysis you'll find, as each contributor to the blog provided a review, and we published an interview with White. So LITC is pretty excited that its sequel is coming this October! This time, we'll be treated to the work of Willoughby, Witton, Lacerda, Atuchin, and more. 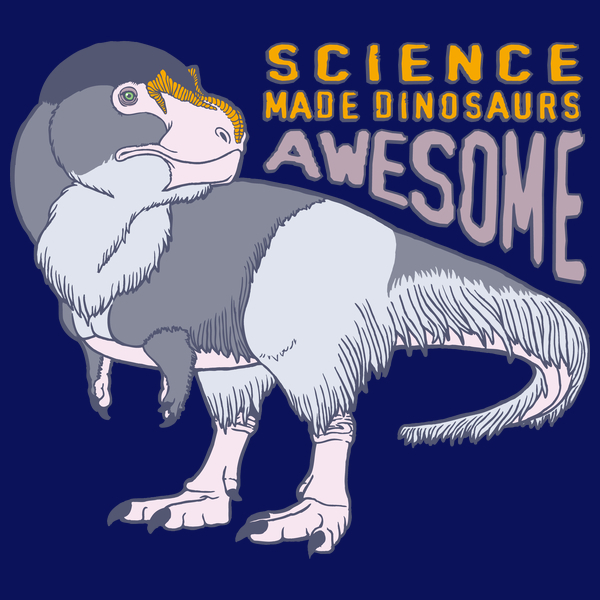 Raven Amos has added another terrific design to her NeatoShop storefront, taking direct aim at the myopic, small-minded, backwards-thinking, and utterly annoying "science ruined dinosaurs" crowd. Science made dinosaurs awesome! 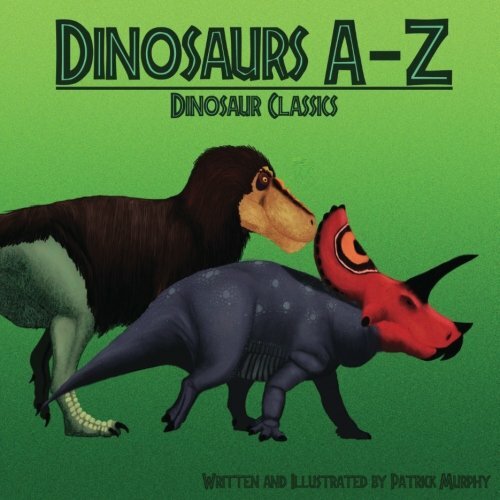 Illustrator Patrick Murphy has released his first book, an introduction to dinosaurs for kids 9 and up. Order it here! Wound up with more videos than usual, so why not give them their own special section? Here's short n' sweet PBS News Hour feature on Julius Csotonyi's paleaort. Thanks to Michael Ryan of the Cleveland Museum of Natural History (and Palaeoblog) for giving big ups to paleoart. Larry Witmer talks about a sweet, sweet Triceratops brain endocast. The Royal Tyrrell Museum's speaker series recently featured Peter Larson, who spoke on his research tracking theropod diversity and disparity in the late Cretaceous. Filmmaker Lexi Marsh is challenging "a lost legacy" with The Bearded Lady Project. Her 20 minute short film, focusing on Dr. Ellen Currano, debuted early this month at the University of Wyoming at Laramie. Read Carolyn Gramling's great interview with Marsh at Science. Check out the trailer above, too. The Institute for the Study of Mongolian Dinosaurs has just embarked on another field trip to educate the children of Mongolia about their country's priceless natural heritage. They can always use donations to fund their efforts, or you can visit their shop and pick up a shirt, mug, or print to support them. 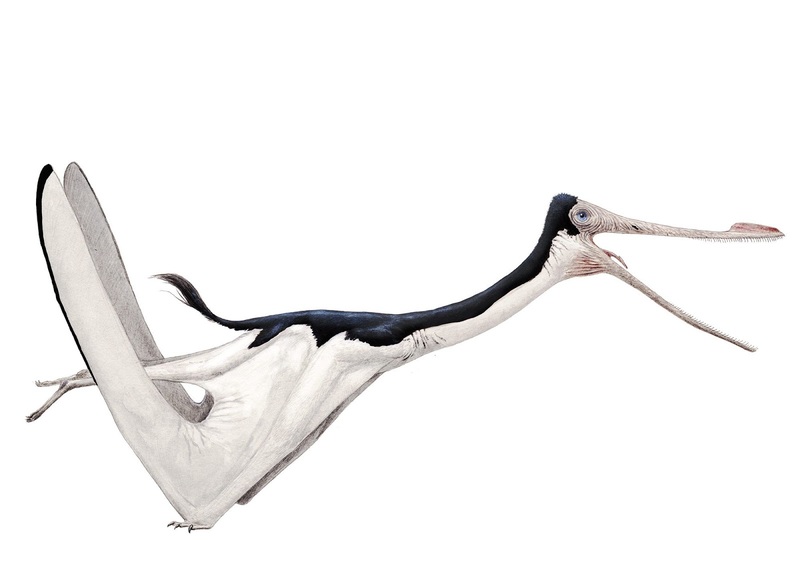 I am a fan of Joschua Knüppe's naturalistic paleoartwork, and when I saw his latest pterosaur illustration for Pteros, I immediately asked for permission to feature it here. Gegepterus changi is a ctenochasmatid pterosaur hailing from the Early Cretaceous Yixian Formation. Gegepterus changi, illustrated by Joschua Knüppe, and shared here with the artist's permission. Read more about lil' G at Pteros. Keep up with Joschua at DeviantArt and Facebook. We've talked about the Utahraptor Project a few times here at LITC, and three weeks ago we launched our latest art challenge to help promote it. To help combine efforts to spread the word about Jim Kirkland's crowdfunding effort to free those dinosaurs from that slab of rock, this week has been declared Utahraptor week, thanks to the Earth Archives/ Studio 252MYA crew. Check out the #utahraptorweek hashtag on social media (Twitter, Facebook, Instagram), and help spread the word by using it yourself and sharing others' posts. Here are a couple videos about this pretty awesome discovery: Jim Kirkland tells the story of the find and National Geographic depicts the effort it took to move the block o' raptors from its original site of discovery. 2017 Survey of Paleoartists: One Week Left! 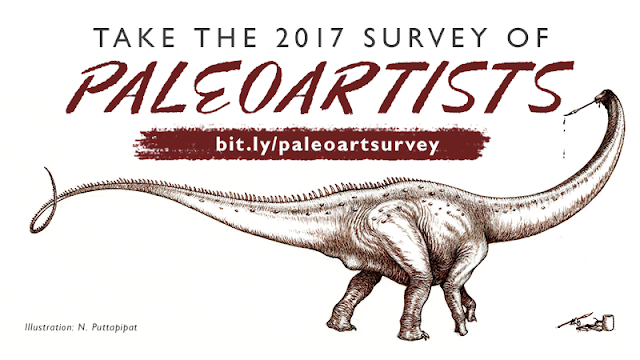 Just a quick note: there's one week left to respond to the 2017 Survey of Paleoartists. If you missed my earlier post on the survey, please read it to learn more. And head to bit.ly/paleoartsurvey to take it! It will only take a few minutes, and is relevant for hobbyist and professional alike. A look at the results so far is pretty interesting, and I look forward to publishing what we find out. So far, we've had 331 respondents from 33 countries. 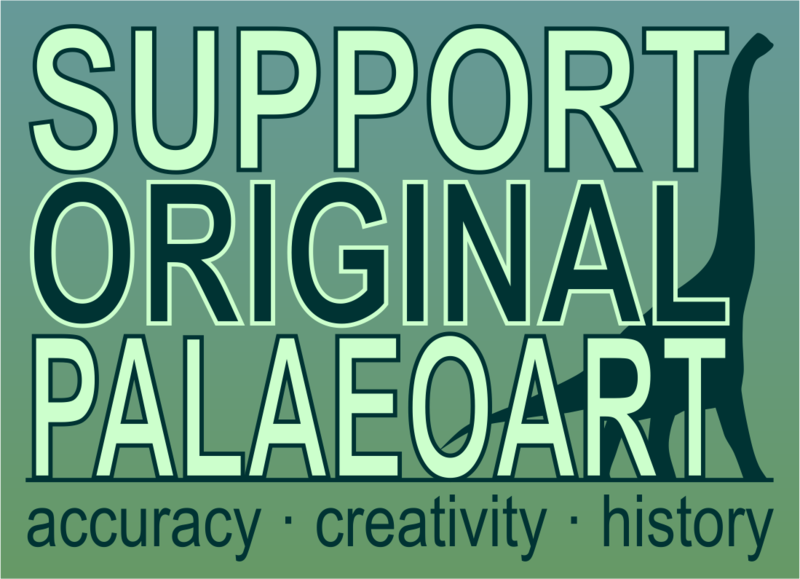 If you're a paleoartist, please add your voice, and share the link far and wide. Canadian paleontologists tell their stories in "Dino Trails"
A great new series of short documentaries on Canadian paleontology was just released on YouTube by TELUS Optik. "Dino Trails," a project by filmmaker Brandy Yanchyk, kicks off with a profile of Phil Currie and Eva Koppelhus. This episode also features our own Victoria Arbour, who talks a bit about our favorite clobberin' thyreophorans. Subsequent episodes give a chance to see the Suncor nodosaur in prep, tag along on a fossil hunt with Wendy Sloboda of Wendiceratops fame, and spend a nice chunk of time with the Tumbler Ridge dinosaur tracks, featuring friend of LITC Lisa Buckley. And so much more! I appreciated Yanchyk's focus on the stories of discovery, study, and the people who do it. As researchers tell their stories, a running theme of the importance of protecting our fossil heritage emerges, and they offer impassioned arguments for their various fields of study. Sit back and enjoy! Recently, there has been some back-and-forth on Facebook about what capital-P paleoart is, as John Conway proposed some guidelines for the Paleoartists group. While certain genres of dinosaur art - for instance Jurassic Park fan art - aren't too hard to rule out, other forms are a harder call. The group has been debating whether fantastical pieces based on close anatomical study of ancient life are allowable. Others have mused about how stylized something can be and still count as paleoart. I've certainly wondered that about Mammoth is Mopey. And it's a balancing act we've played at LITC, for instance with our 2013 All Yesterdays competition. 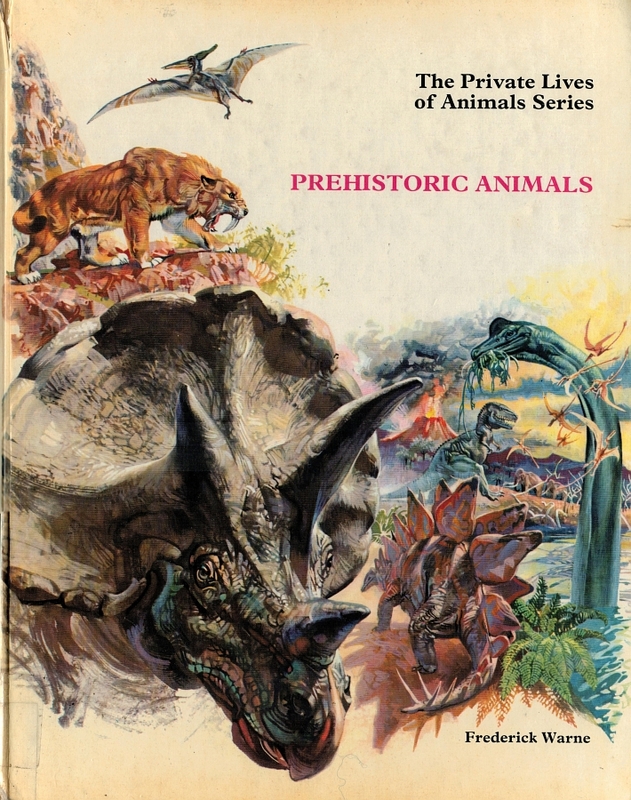 But while we may debate the place and the value of Rigorous Paleoart vs. "mere" illustrations of prehistoric life, I think we can all agree that it's good for pop culture to be permeated with more depictions of prehistoric beasts based on contemporary paleontology. This leads us to the subject of today's post. 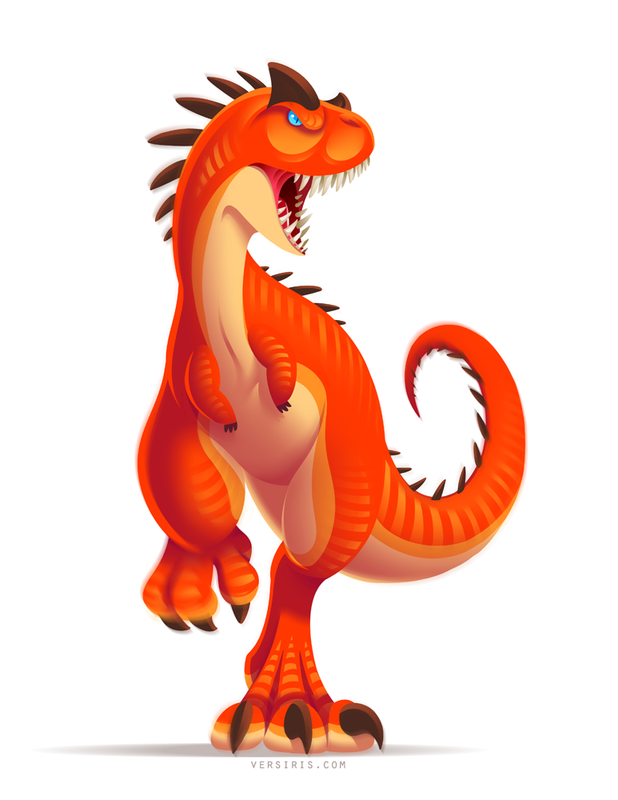 As I was traipsing through the dinosaur realms of DeviantArt recently, I came across a wonderful stylized Amargasaurus illustration by Tanya Kozak, AKA Virsiris. It looked like it could have been a still from a dinosaur cartoon I'd definitely watch. The description said that the illustration was part of Stomping Grounds, a dinosaur art zine. I followed the link to Gumroad and picked up a copy. It's sold on a pay-what-you-want scheme. Carnotaurus © Tanya Kozak, shared here with the artist's permission. Released about a year ago,Stomping Grounds couldn't be simpler in its execution. It is focused solely on illustration, without any text besides credits for the creators. I'd have appreciated a bit of background information on the species and the artist's rationale for each illustration, and I'd think it would justify a bump up from pay-what-you-want to a set price to cover the additional layout work required. The zine is decidedly not filled with capital-P paleoart, but that's not the intent. This is a celebration of dinosaurs. Kozak invited a range of artists, many of whom work in animation, to contribute. So it's not surprising that the art bursts with character, like Squeedge's slavering Cryolophosaurus in pink plumage or Kari Fry's Dracorex standoff. My personal favorite was Neogeen's Troodon flock, dramatically rendered in red and drab green, all fully feathered. More than any other piece in the collection, Neogeen's suggests a wider world and I'd love to see it stretched out into a comic or animated piece. Kozak, whose Amargasaurus led me to the zine in the first place, has a few pieces in the zine, with standouts like a fierce Mosasaurus , a Carnotaurus with subtly but effectively exaggerated features, and a fuzzy, ready-for-cartoon-villainy Dilophosaurus. The zine is well worth picking up and throwing a few buck the artists' way. It's heartening to see artists who aren't scientific illustrators continuing to absorb the good news of our current paleontological golden age. Head to Gumroad to download for free or name your price. TL;DR (added 31/03): Your submissions should be humorous! We'd like an amusing take on what might have happened. See paragraph 5 below. The site was discovered by Matt Stikes back in 2001, and the huge block o' bones was subsequently excavated by Jim Kirkland (who described Utahraptor), Don DeBlieux and Scott Madsen along with numerous volunteers. The block is now being prepared in the Museum of Ancient Life in Lehi, Utah, under the auspices of Madsen (as Chief Preparator). You can read the full story of the project - from discovery, to excavation, to preparation - over on the official Utahraptor Project site, where there's also a handy index of Utahraptor-related press...not to mention this lovely video featuring Jim himself. We have been living in a golden age of paleontological research for long enough that many in the paleontology community don't remember anything but the golden age. A vibrant community of researchers, journalists, artists, and enthusiasts has come of age in a time when exciting new discoveries are announced on a regular basis: challenging our preconceptions, fueling our wonder, stoking our creativity. This has all occurred with the rise of the internet, allowing us to share in the bounty on listservs, forums, art communities, and social media. It's led to a blossoming of new paleoart; surely, there is more high quality artistry dedicated to prehistoric life being produced now than at any other time. And yet, as Witton, Naish, and Conway wrote in their essential 2014 commentary, "State of the Palaeoart," "many standard practises associated with palaeoart production are ethically and legally problematic, stifle its scientific and cultural growth, and have a negative impact on the financial viability of its creators." That viability has been a big question, especially since March of 2011, when paleoart legend Gregory S. Paul sparked a period of intense debate on the Dinosaur Mailing List. I won't rehash it here, but my big takeaway from this was a concern for paleoartists: is it even possible to make a living in the field? If so, how many people can the industry sustain? To know this, we need to know what we're talking about, and there are many question marks. Who is creating paleoart? What are they creating? For what purpose? Who are they working for? How do they charge? How much do they make? Well, let's find out, shall we? 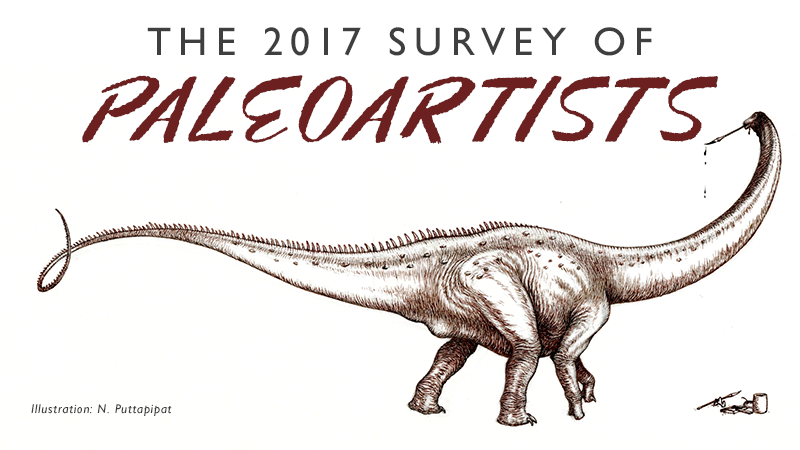 The 2017 Survey of Paleoartists is now open and taking responses. Matt Celeskey and Mark Witton were critical to the early development of the survey. I then brought in another round of reviewers, Bob Nicholls, Brian Engh, and Emily Willoughby. I'm grateful to all for their excellent feedback. If you create paleoart, please take the survey. No matter your level of prestige, seniority in the field, your status as a professional or hobbyist, or how many works you've produced, I want your input. If you're unsure if you qualify, shove down that imposter syndrome and dive in. It's completely anonymous, and the information collected will help you and your peers navigate the field more confidently. If you know a paleoartist, I ask you to shoot the link to them: bit.ly/paleoartsurvey. If you know a paleoartist who is not very active online or on social media, I beg of you to email the link to them. We need their input. If you're a blogger, Youtuber, tweeter, or Tumblr-er, I would greatly appreciate your help in blasting the word out. Feel free to share the promotional graphic below, featuring a beautiful illustration from LITC's own Natee, in posts and on social media. I'll keep the survey active for at least a month, so I'll occasionally post updates here, and I'll keep making noise elsewhere on the web, too. After that? I'll be reporting the results here at LITC, pursuing journal publication, and possibly completing a poster. That link again is bit.ly/paleoartsurvey. We need data! Help get the data.